Wondering if Your Child Feels Loved? This is a guest post by Heather Creekmore. If you would like to guest post on this blog, email us here. If you sneak into my house, this is what you'll hear my two-year-old say, over and over again, before his Daddy leaves for work. He'll then run to the door, clearing toys out of his path, so that he can attach himself to my husband's leg, waiting for his Daddy to bend down and give him a full embrace. But, while you are observing, you may also notice my oldest boy. He's almost six and will wrinkle his nose in disgust as his dad rubs on his buzz cut hair. Sometimes, if his mood is just right, he'll initiate a hug. But, most of the time he'd rather talk. He's a creator and dreamer. He'd rather hear Daddy affirm his latest Lego masterpiece or agree to whatever detailed plan he's come up with for that day, evening, or for when he turns twenty. He's got big ideas and he wants Daddy to listen and put his stamp of approval on them. This might have been more of a mystery to me if I hadn't read a book called, The Five Love Languages of Children, by Dr. Gary Chapman. Chapman’s theory is that everybody has a way, or language, in which they best express and receive love. Verbal affirmation, physical touch, acts of service, gifts, and quality time are the five categories dubs as languages. Dr. Chapman adapted his original book (The Five Love Languages) into this version for parents to help them better discover the ways in which their offspring express and receive messages of care and acceptance. 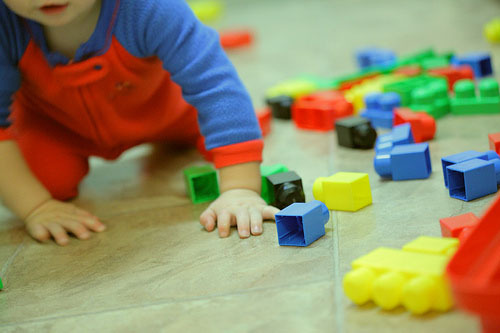 Want to know what language your little guy or gal speaks? The best way to figure out their language is to first stop, and figure out your own. Are you a dad who needs to hear aloud how much you are loved? Or, maybe you feel most loved when someone takes care of you…like when your spouse does your laundry or takes care of that errand you were putting off. Do you prefer presents over a warm embrace? Or, do you just want someone to spend focused time with you? Do you show someone you love them by serving them, telling them, spending time with them, physically connecting with them or giving them tokens of your love? Once you figure out your language, start to observe your children more carefully. Do they always find "presents" to give you or ways to “help” you? Do they just want you to sit and be with them? Do they just want to be physically close? Do they want to hear or say “I love you” frequently? Take time to discover your child’s language and then find ways to intentionally “speak it” with them. Remember, if you have more than one child, they may all have different languages. If you aren’t sure what language is being spoken, experiment! And, if your child is older, ask for his or her ideas and feedback. There's no doubt: Kids need a lot. You start buying gear for your newborn and the expenses just never stop. You’ve given so much you may feel as if there is no way your child doesn’t know they are loved. But, I hope you’ll remember that children need affection and affirmation in special ways that their little brains are wired to understand. And, that’s where this information can help take the question out of whether or not your children understand how much they are loved. So take the challenge! Discover your child's love language, and your own! You won’t regret it! Question: Which love language does your child(ren) speak? 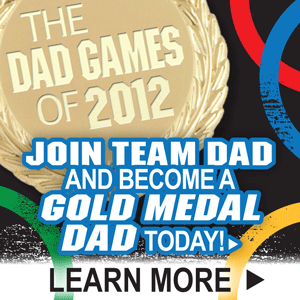 Visit Gold Medal Dads…Affirm Their Kids for tips on how you can affirm and show affection to your kids. Remember to share and connect with other dads on our blog, Facebook and Twitter (#DadGames12). This is a guest post by Heather Creekmore. Heather worked at the National Fatherhood Initiative from 2000 until 2007 when she “retired” from full time employment to live the glamorous life of a stay-at-home mom. Heather and her husband Eric reside outside of Dallas and have four children, ages 5 and under. She now spends her days changing diapers, making a mean peanut butter and jelly sandwich, teaching fitness classes, and blogging. Read Heather's blog about the similarities between faith and fitness.